Hosting a baby shower in the month of March, or for a mama that is expecting on or around St. Patrick's Day? Consider going green -- literally! 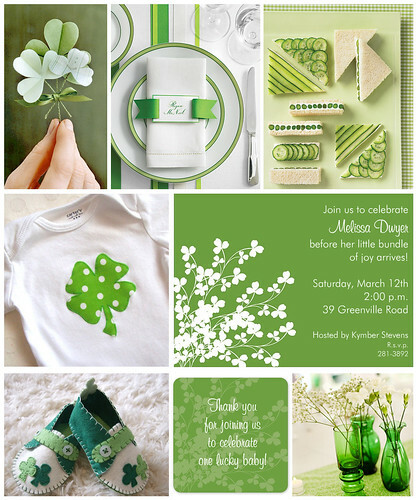 Bright shades of green, along with shamrock details, make for a charming baby shower and one lucky baby!